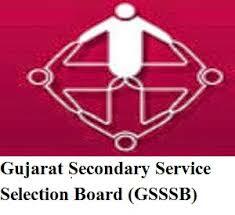 Gujarat Gaun Seva Pasandagi Mandal, Gandhinagar(GSSSB) Has Published very important JOB Notification for the candidates who are looking for SARKARI JOB. This is a great opportunity for the candidates to serve in Gujarat Government as Head Constable, Office Superintendent And Inspector. GSSSB Has Published 63 Head Constable, Office Superintendent And Inspector Posts Notification. More details related this recruitment are as given Below. Note : Educational Qualifications, Age Limit, How to Apply, Syllabus and More details will be available as soon as the official notification will be published by GSSSB. 0 Response to "GSSSB Recruitment 2017 For 63 Head Constable, Office Superintendent And Inspector Posts"